Next year, we hope to add 10 million animators to the world through FlipaClip; bringing high-quality, visually engaging content to the masses." 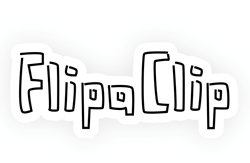 VisualBlasters, LLC, Miami smartphone app developer today announced its popular FlipaClip app is now available on Apple’s App Store. The action animation software - which has been downloaded 4.5 million times with 550,000 active monthly users on the Android platform -- puts the power of professional animation in the hands of anyone with a smartphone or tablet. To celebrate the iOS launch, VisualBlasters is teaming with indie-band ‘Tell Her I Love Her’ to host a contest within FlipaClip that gives users the chance to create an animated music video for the band’s first single, “Unravel”. The “Animate Unravel Contest” will run from March 15 to April 26 and feature an accomplished panel of judges including Grammy-winner, Michael Patterson, legendary animator of the iconic 80s video “Take On Me,” for the band A-ha. Winners of the “Animate Unravel Contest” will be announced in New York City in May 2017. Awards include some $2,000 in cash prizes, as well as hundreds of free professional user licenses for the most stand-out submissions. Founded in 2010, VisualBlasters creates intuitive apps to help people express themselves including XiiaLive Internet radio app, and FlipaClip, a flipbook style drawing and animation app for Android. http://www.visualblasters.com.